Roof Tile Guru: Expert consulting in historic and obsolete roof tile restoration. The Roof Tile Guru web site is a collection of the expertise and knowledge dealing with the installation, collecting, identification and selling of historic and obsolete roofing tiles and other specialty roofing materials. Vincent H. Hobson (Roof Tile Guru) has over 30 years of hands on experience and built one of the larger collections of reclaimed historic and obsolete tiles in the country. Having garnered a wealth of information on the procurement of historic roof tile, The Roof Tile Guru is putting it to use to help customers locate, salvage, purchase and ship the roofing tiles they need. Whether it is one piece or many squares, a custom design project where it just needs to look old, or insurance repair/replacement requirements, The Roof Tile Guru can help. We also access a large variety of mineral fiber cement shingles and sidings. Vincent H. Hobson also provides extensive consulting services to homeowners, architects, roofing contractors, historians and even other consultants in the tile roofing arena. We cater to those with specialized roofing needs especially when it comes to the historic and obsolete roofing tile projects. Some of the other aspects of our niche business enterprise is the identification of old roof tiles, both clay and concrete; the drafting and implementing of specifications for the restoration and repairs of historic tile roof systems; the purchasing and selling of historic roof tiles and related trim tile accessories; and we even assist the homeowner and contractor in learning the proper way to palletize, store, salvage and ship their own salvaged or reclaimed roof tiles. We have recently added a featured roof tile selection to our website which will provide a free space on our website for featuring your batch of reclaimed or salvaged roof tile, as long as it is obsolete, historical or unique in nature. So if you are replacing roof tile, you've found your roof tile headquarters. The Roof Tile Guru has been performing historical roof tile identification and consulting services for restoration and tile repair projects all over the United States for over three decades. We work closely with many other individuals and companies that perform similar services and yes, I am one of the suppliers that our competition will often get their (and possibly your) historic and obsolete roof tiles from! My consultation services have helped save many tile roofs from certain destruction by sharing with you our knowledge and expertise in the historic restoration and repair market. Our individualized and custom tailored tile roofing specifications for obsolete roofing tiles are a necessity for any restoration or repair project. Sometimes it is just a question or two and at other times it is onsite inspection and supervision. I am able to cover a wide range of your roof tile needs. See this article on one of our numerous projects. Having specialized in the repair and restoration of historic, obsolete and reclaimed clay and concrete tile roofsfor many decades, I have the knowledge and the access to inventories required to match most any old clay or concrete roofing tile. Another part of my service is the matching of historic roof tiles for smaller projects such as garages and similar construction project additions to existing tile roofs. I will actively pursue all avenues in an effort to find your tile. 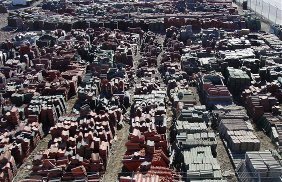 With inventories exceeding 1 million pieces of hard to locate, historic and obsolete roofing tiles at my disposal, I can offer tiles in almost any quantity. It is my access to not only local inventories but that of other restoration contractors and suppliers of historic roof tile and accessories that gives me a definite advantage in procuring these materials. So, whether it is a single piece of tile or numerous squares that you require, it can most often be found right here. I offer the roofing tile in any available quantity. An excellent roof tile installer in the Denver metro area (and front range) is Formula Roofing. You can see more about their roof tile projects here. Historic Roof Tile Restoration FAQs | Selling Your Roof Tile? | Looking For Roofing Tile? | Asbestos Roof Tiles | Consulting | Roof Tile Photo Gallery | New To Roof Tile? 48 hour or less response time on most email inquiries! That's right, we've written the only book of its kind for identifying historic roof tile for restorations and repair. Every roof contractor should ORDER ONE ! A portion of one of the tile yards to which the Roof Tile Guru has access. Old Salvaged Consulting on Clay tile Vintage Roof Historical Roof Tile Consulting Historic and Obsolete Roof Tile � The best reference site ever compiled addressing the identification of old, historic, and obsolete roof tile. This site allows those in search of older roof tiles a way to research and identify and repair those older tiles which are most commonly found accross the United States and Canada today. 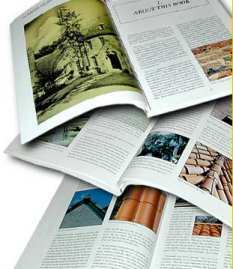 Includes information on historic roof tile, tiles, clay tile roofing, clay tiles, , historical, historic slate, obsolete, salvage, reference, heinz, ludowici, salvaged ludowici, salvage, salvaged clay tile, used clay tile, roof, roofs, roofing, chicago imperial, spanish clay tile, s tile, red tile, clay slate. Also, including Asbestos shingles and roof tiles, transite roof tile and shingles.